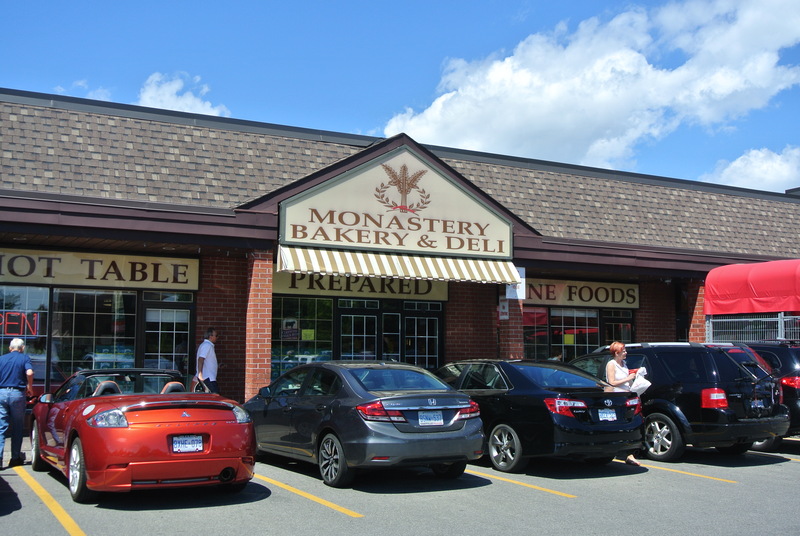 I have heard on multiple occasions from multiple friends about Monastery Bakery & Deli in Oakville, Ontario. So after a morning stand-up paddle session, my teammates and I took a “field trip” out to Monastery Bakery for coffee and a bite. I didn’t realize it was more a market than a bakery cafe but regardless, it lived up to my expectations! The front portion of the market houses the deli, ready made food section, Italian groceries, cheeses, pastries and coffee. 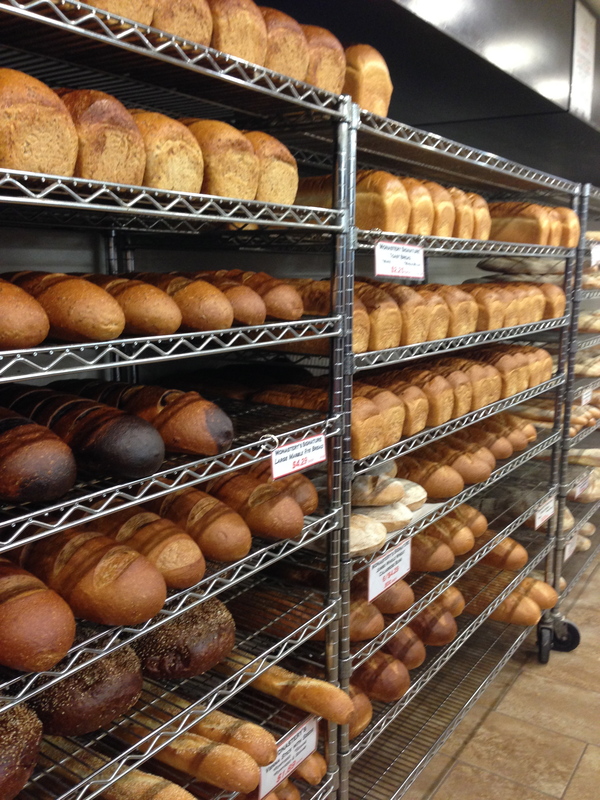 However, the magic is really in the back room – a room full of bread and baked goodies, racks of them! 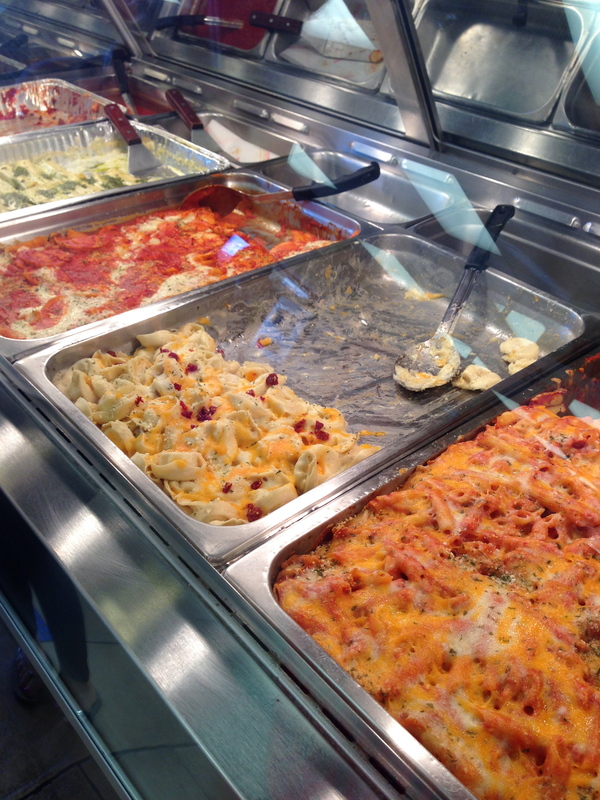 Everything from homemade bread sticks, croissants, loaves of bread, baguettes, danishes, turnovers, donuts and panettone. Yes, fresh panettone! 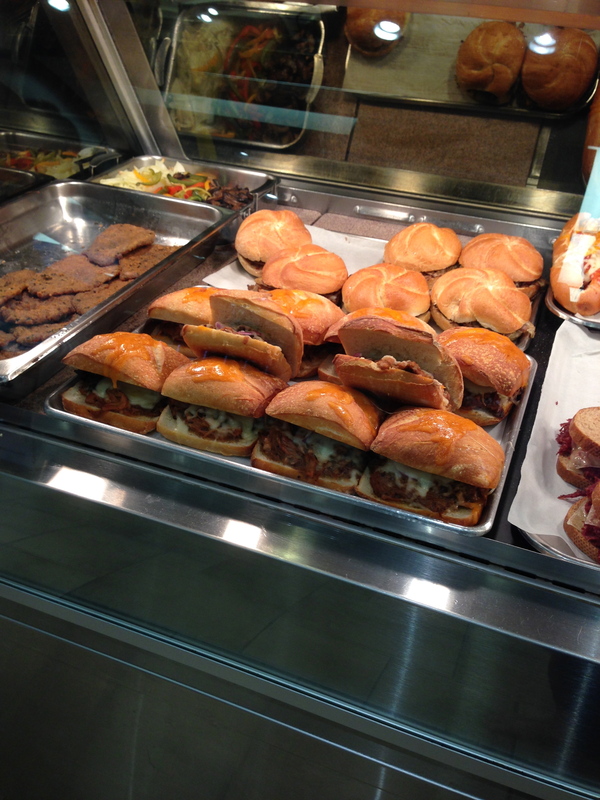 With so much variety, I had to hold myself back but vowed I would come back. So on this initial trip I tried the bread sticks, croissants, spinach and feta stuffed phyllo and mini chocolate danishes. 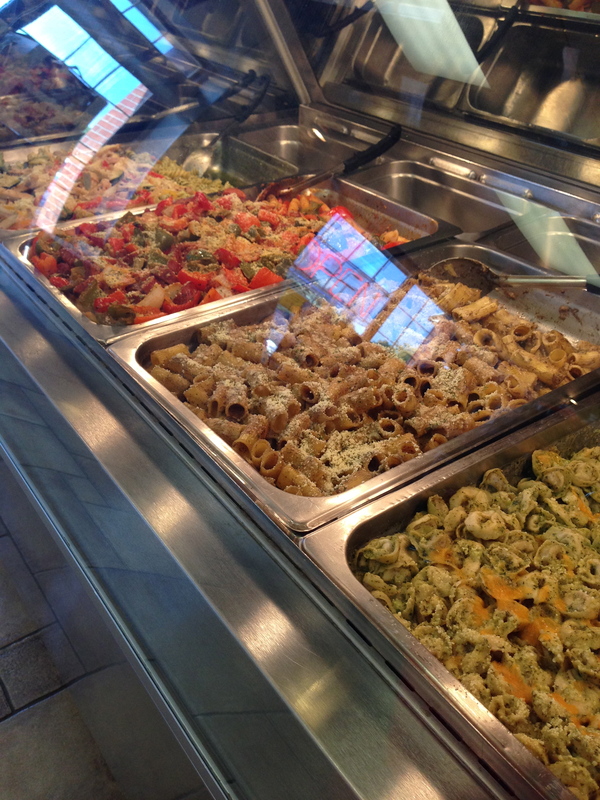 The best however, were the fresh baked Italian cookies and biscotti – buttery, crumbly and not too sweet. My favourite were the biscotti dipped in white or dark chocolate. They weren’t too hard and the chocolate gives it the right touch of sweetness, the perfect treat! 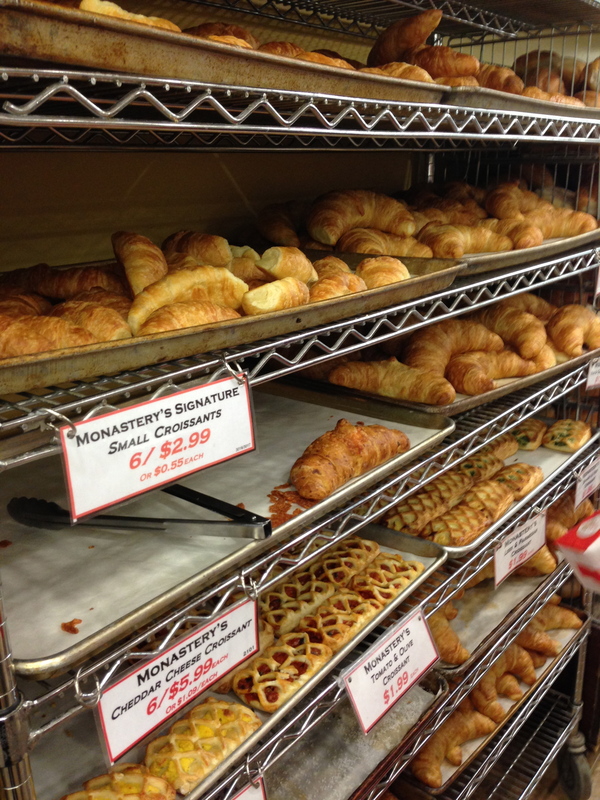 Monastery Bakery & Deli in Oakville, Ontario. 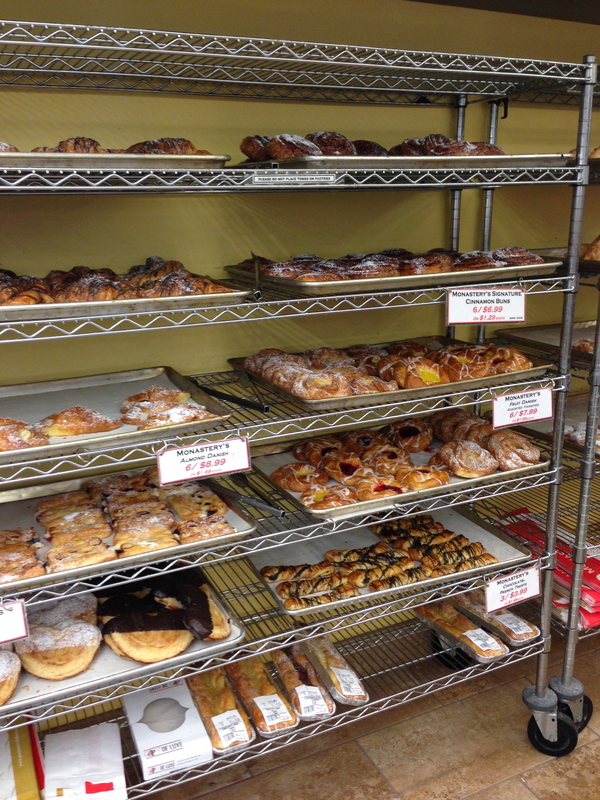 Danishes, elephant ears, cinnamon buns and chocolate croissants. 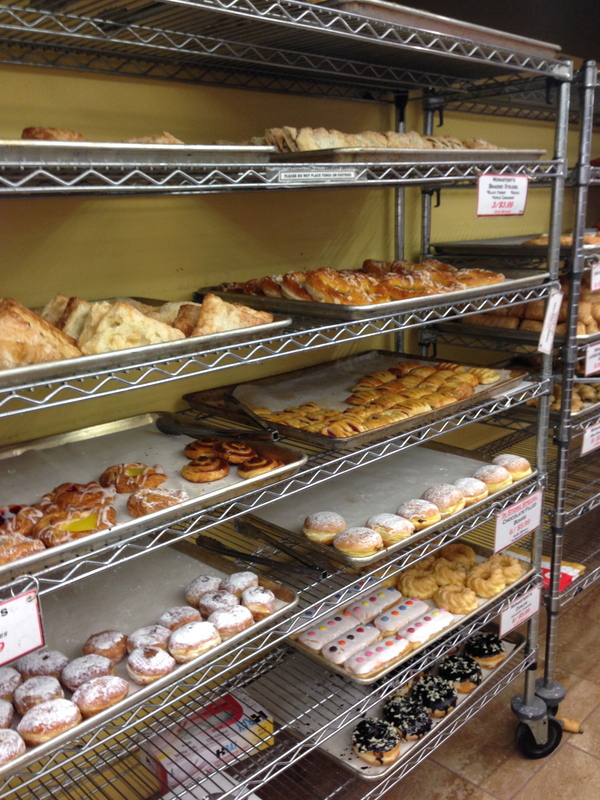 Racks of donuts and fruit turnovers. Loads of their signature croissants. 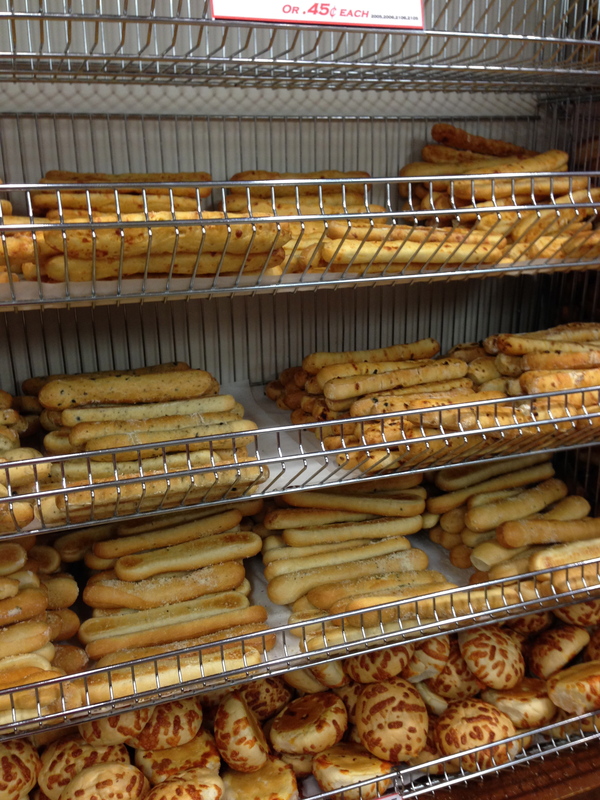 So many different types of bread sticks – garlic, cheese, sundried tomato and olive. 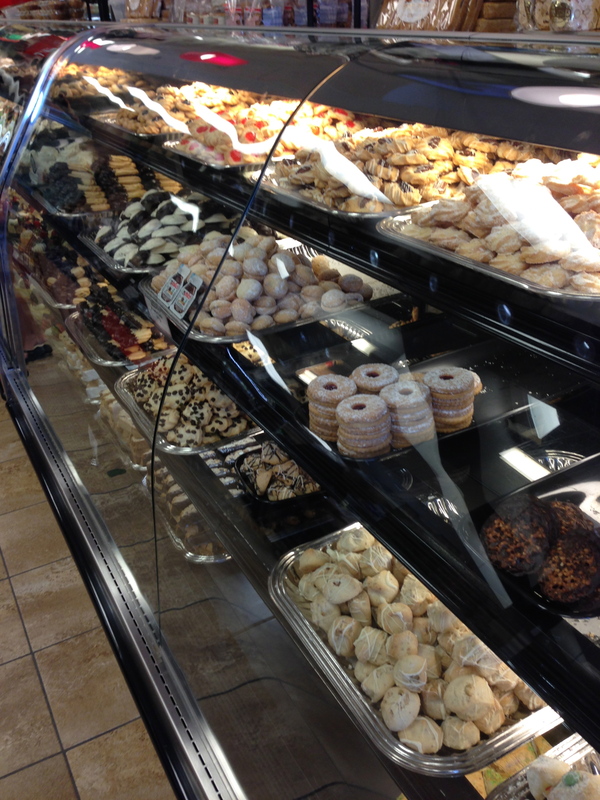 So many varieties of Italian cookies and cakes. 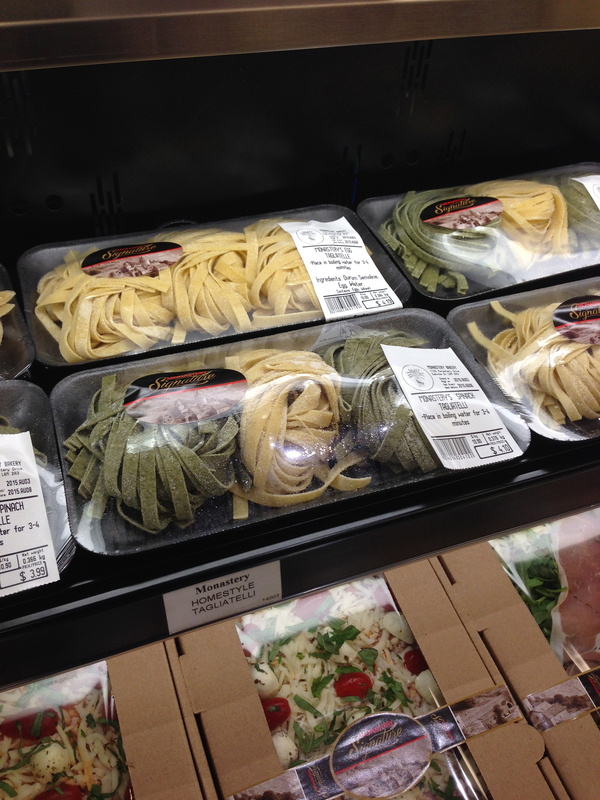 Housemade pasta packaged for easy cooking at home. 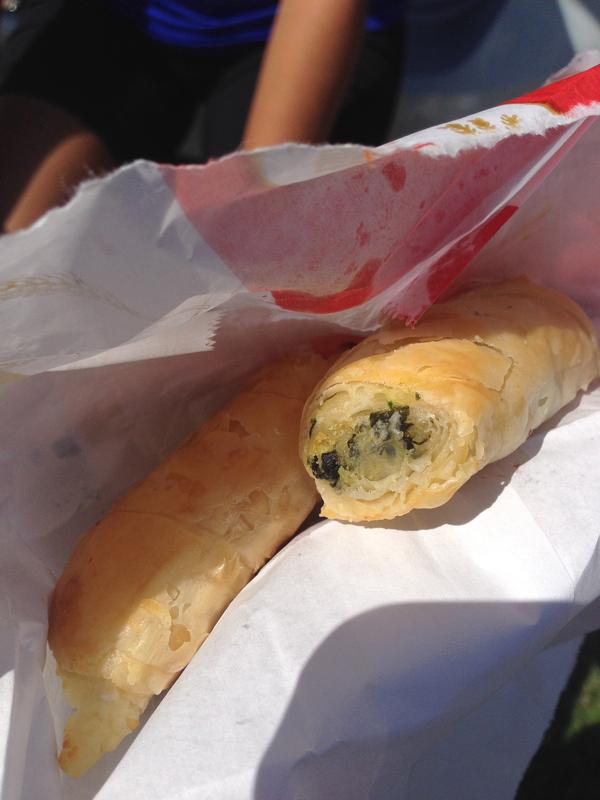 Spinach and feta filled phyllo pastry. 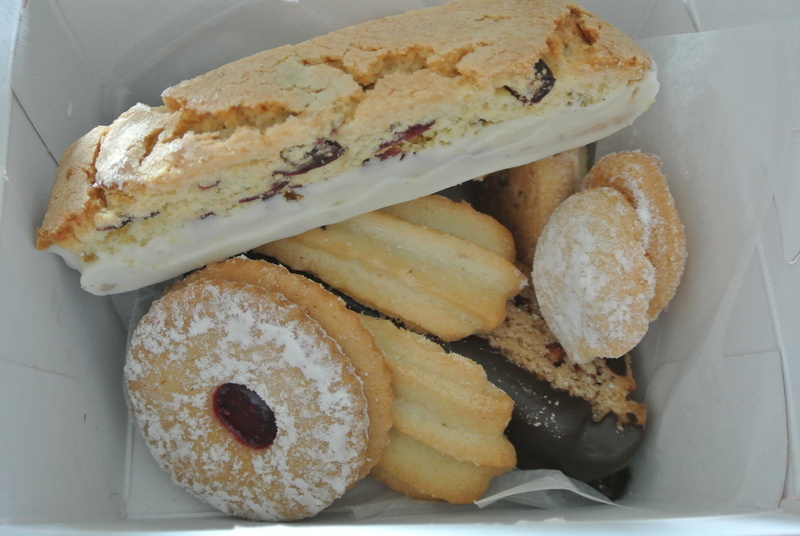 A box full of Italian biscotti and butter cookies. 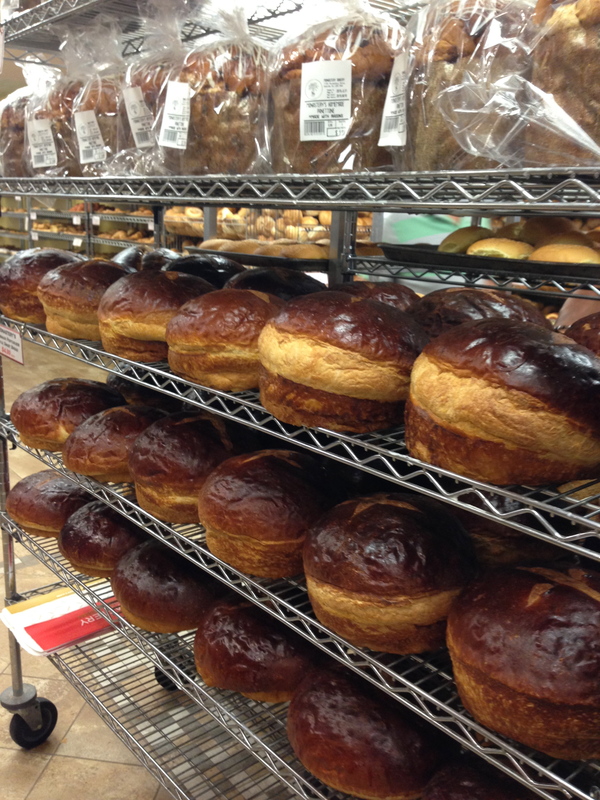 Italian panettone made fresh in house.